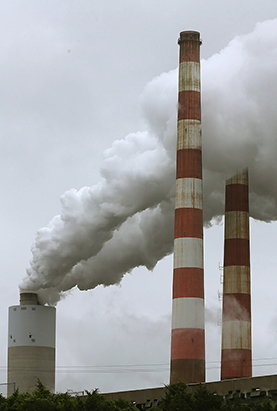 Are environmental regulators hurting business? Debates over climate change continue to dominate science-related policy circles. A key report by the Obama administration attributed extreme weather patterns to climate change and called for aggressive curbs on carbon dioxide emissions, but congressional conservatives said the report exaggerated potential problems and would spur new regulations that would harm the economy. Conservative critics also argue that the Environmental Protection Agency is not disclosing the full scientific basis of regulatory decisions, a claim the agency denies. Meanwhile, critics of government funding for social science research want to shift more grants to areas such as technology, engineering and mathematics that they argue would more directly spur economic growth. But others say social science research is crucial for understanding how to shape government policies on such issues as health care and national security. Separately, U.S. and Cuban scientists and policymakers are discussing a formal collaboration on marine science and conservation. Disputes over climate change continued to dominate the science-policy arena over the past year, with the Obama administration calling for a sharp reduction in carbon emissions to fight global temperature increases and congressional conservatives resisting such proposals. Can their conflicts be resolved? Is the United States safe from Internet criminals? Can “smart” machines replace humans? Are we falling behind in science and technology?